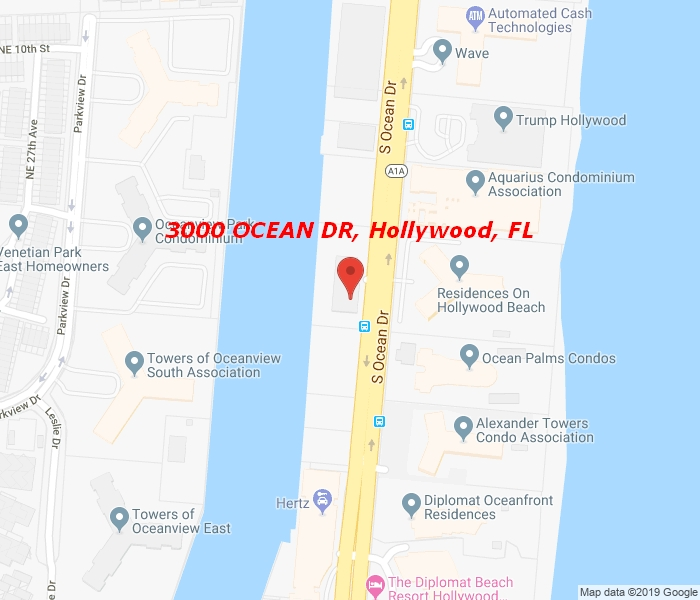 Stunning over sized furnished one bedroom two baths apartment with panoramic unobstructed Ocean Views in high rise Condo on Hollywood Beach. Completely upgraded with Euro kitchen, marble floors. Located within short distance to shopping, entertainment, fine dining and nightlife. The amenities include heated pool, jacuzzi, private beach club, tiki bar, state of the art fitness center, billiard room, pool area with poolside cabanas, full service concierge desk, business lounge, 24 h valet, grocery store. Rent includes water/sewer, cable TV and Internet.